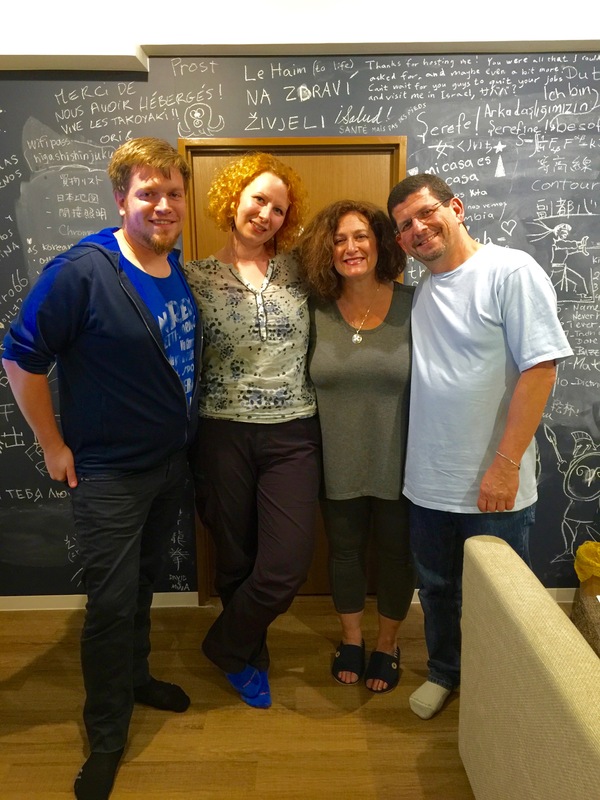 In the most recent blog I mentioned that we were couch surfing in Tokyo. This has been our first CS (couch surfing) experience and it has been fantastic. Every CS experience is different. The place we have been staying at is called Local Life. It is an eight-bedroom shared living flat over a grocery store in the Shinjuku neighborhood of Tokyo. It has six full time residents who rent their space plus a room set aside for airbnb and a room set aside for couch surfing. 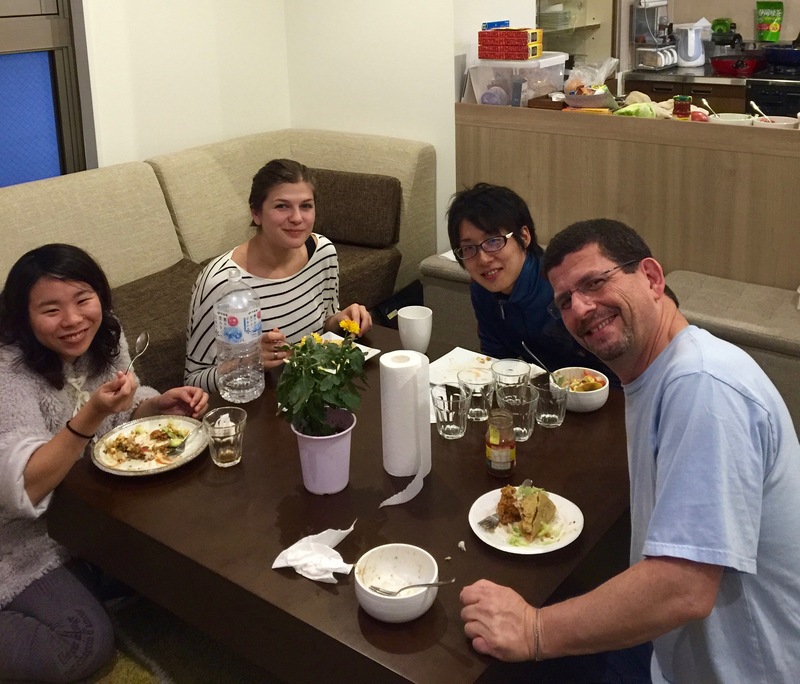 We stayed with Elena, Akiko, and Yuta from Japan as well as Jill from Germany and Evan from Canada. We learned so much from each other and simply great conversations. When I requested to couch surf with them I had offered to make them dinner. The majority requested tacos! This was not necessarily a meal that would demonstrate my culinary prowess but I was more than happy to fulfill the request! Little did I know that this was about to become a two day project! 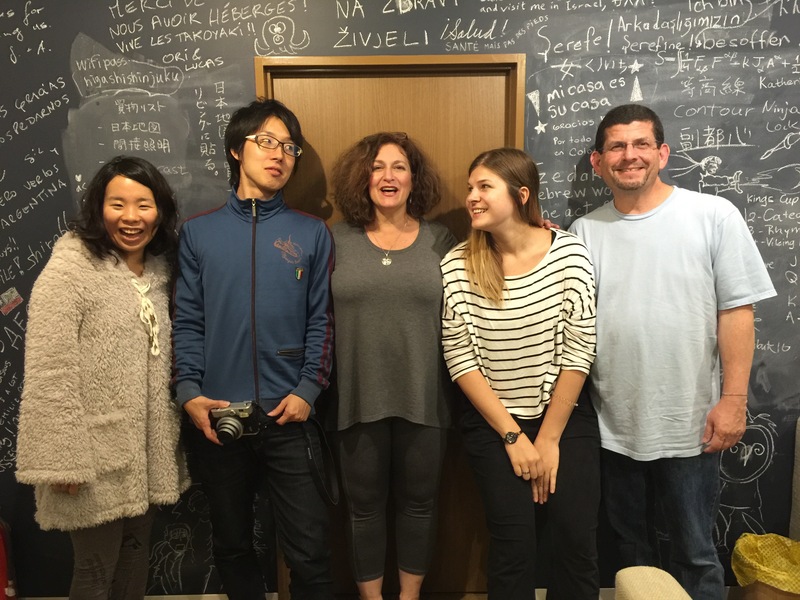 Elena, Yuta, Laurie, Jill, and Me! You see Tokyo is not necessarily world renowned for its tacos! Yes, there are Taco Bells, but local grocery stores do not stock taco shells, refried beans, seasonings, salsa, sour cream and other needed ingredients. I decided that I would need to locate an international market. 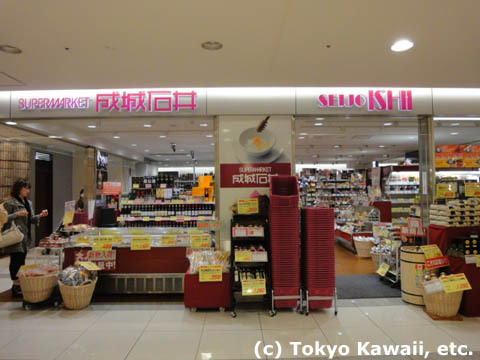 Online I located Seiko Ishii market next to Shibuya station. Seemed simple enough. Wrong!!! 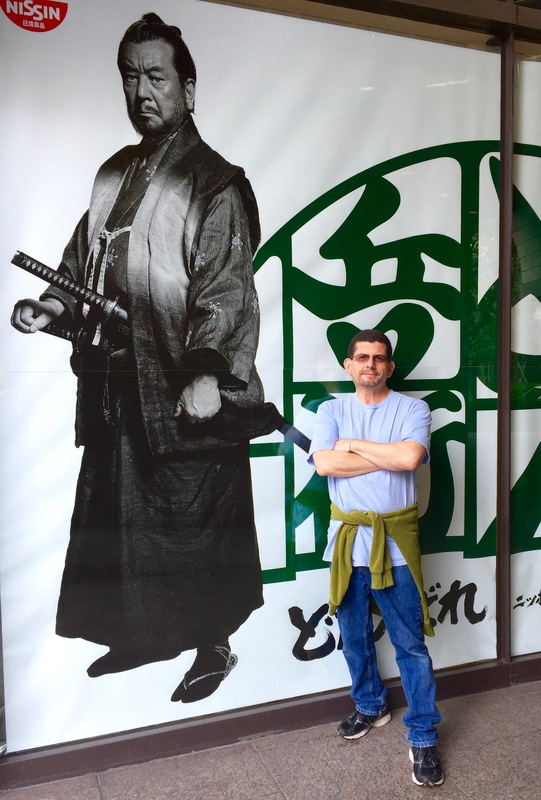 After Laurie and I finished our time at the Meiji Jingo Festival (see last post) I convinced Laurie that we should hop on the train to run an errand that was only three stations away. She had wanted to check out a store called Uniqlo for a light night gown. Unfortunately every where we look all the stores carry is winter fashions as Tokyo gets quite cold in the winter and Uniqlo was no exception. This is where I should have called it a day. 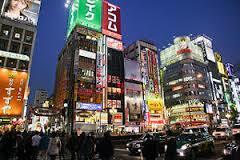 We were already wiped from a long day but we were so close to the Seijo Ishii market. Just hop on the train and go one station. 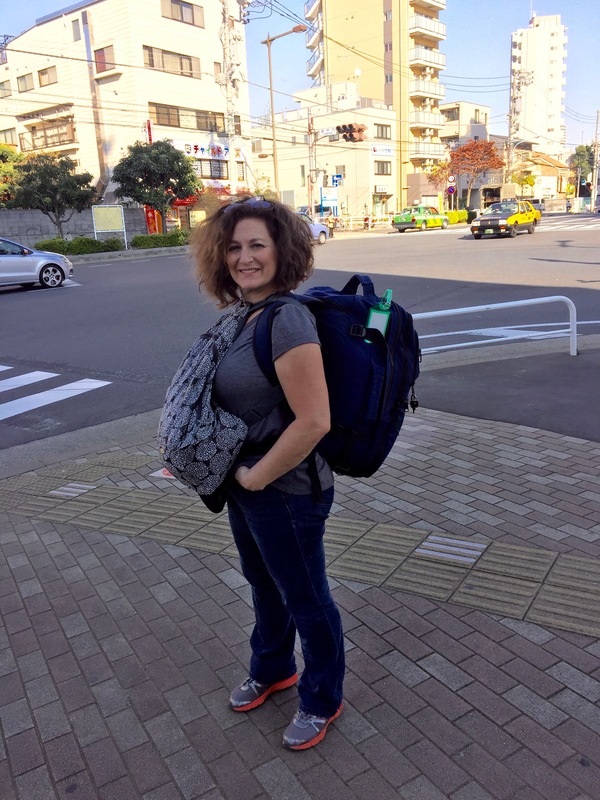 Except – Metro/train/subway stations in Tokyo are enormous! A single station can go several levels underground and be several city blocks long. 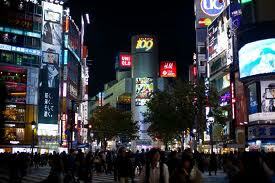 We emerged from the station in one of the busiest, craziest intersections in Tokyo. A hour and a half later we found Seiko Ishii market. Have you ever seen the “Amazing Race” on CBS? The scenes where the couples are over-tired, hungry, lost, behind, frustrated, and angry? That was us! We bought four boxes of Old El Paso taco shells, four packs of seasoning, two small jars of salsa and paid Y4,500 (ouch!!! thats $36.55). Too tired to go any further we found a place in the food court to grab a burger. We felt so much better after we ate. We didn’t realize that we had not had any protein all day and that our blood sugar levels must have really dropped low. Feeling better we headed back to our “Pit Stop” for a twelve-hour rest! 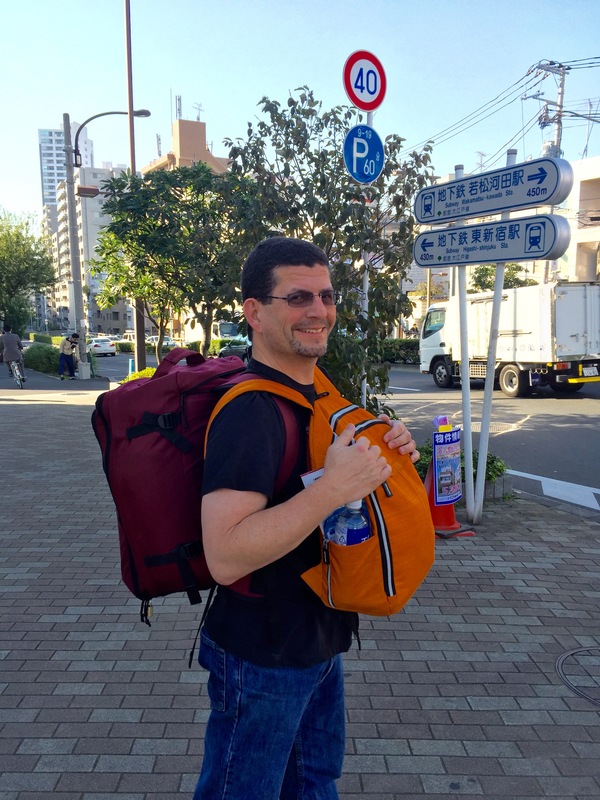 The next day we decided to put the tacos on the back burner and focus on just enjoying Tokyo on a budget. 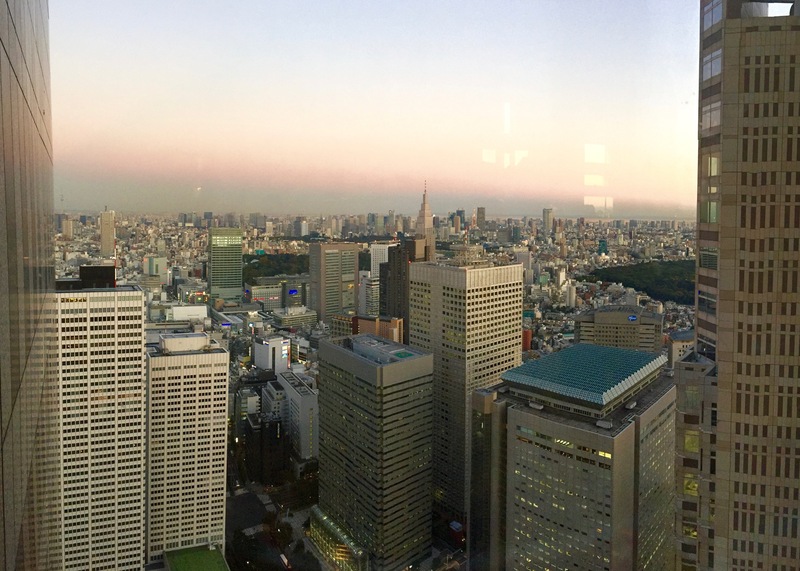 Yuta told us about how we could get an amazing view of Tokyo from the Tokyo Metropolitan Government Building’s observation deck and its free! 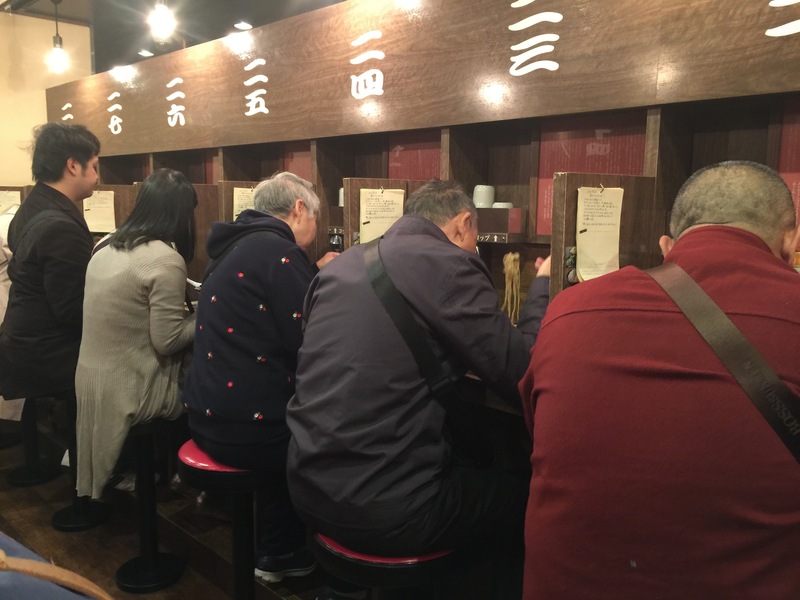 We decided to do that and then pursue some of Tokyo’s world famous Ramen for dinner after. The views were amazing and the price was right. 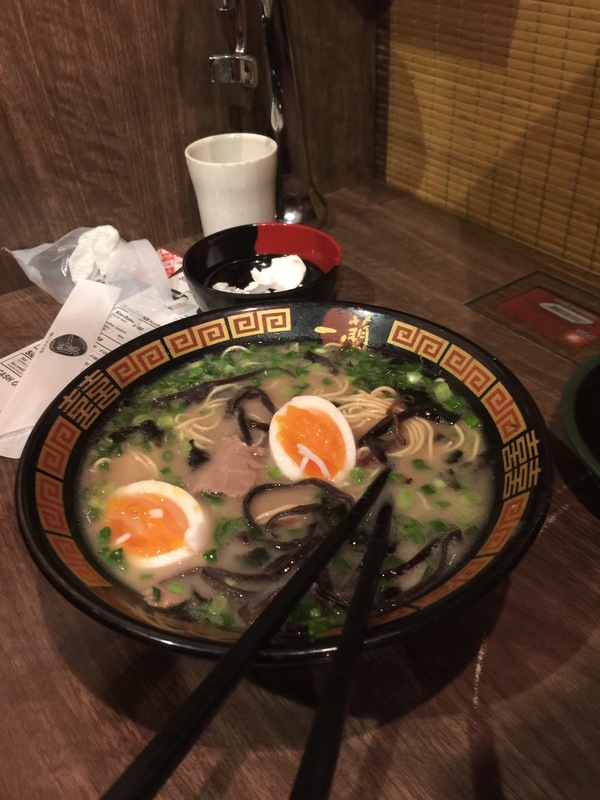 I highly recommend this if ever in Tokyo! 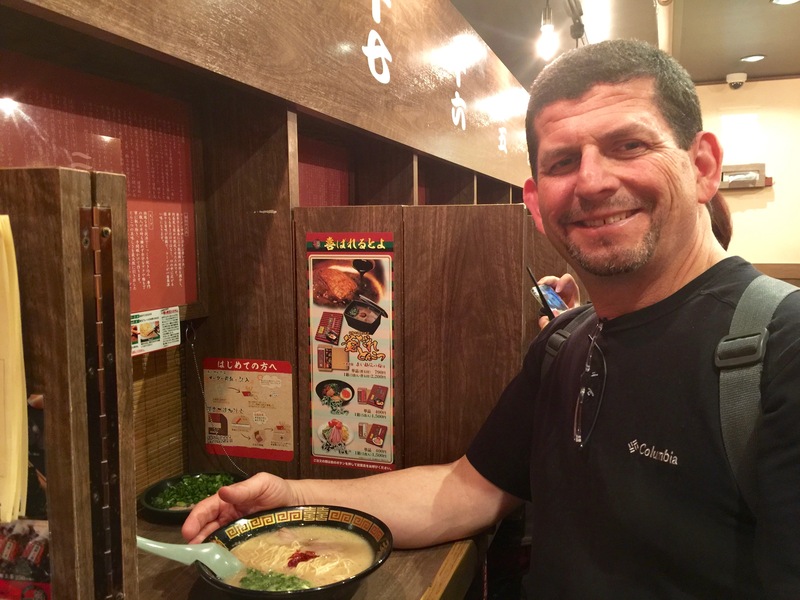 Laurie tried Udon at the Meiji Jingo festival and loved it so I was excited to have her try “real” ramen and not “top” ramen. 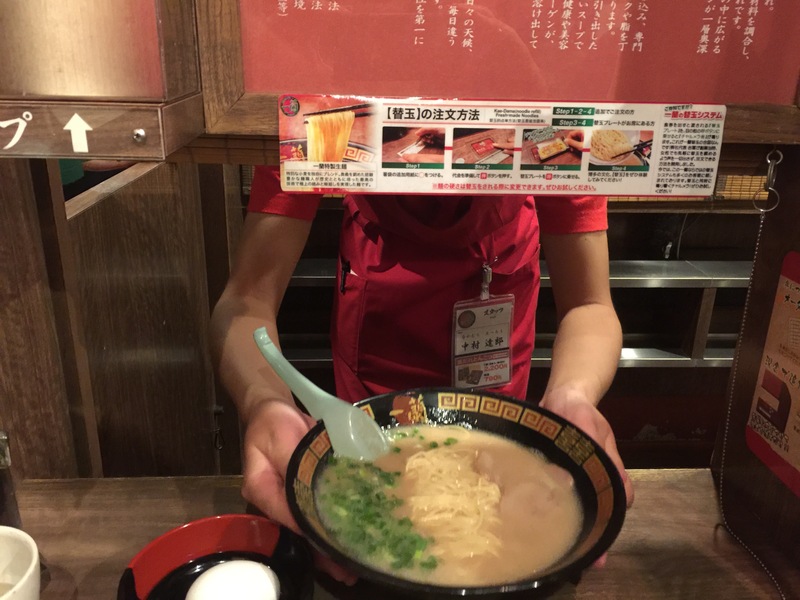 I searched Yelp and came upon Ichiran Ramen Restaurant. We found it in our typical fashion. I research it, map it out, use Waze, and get lost. Then an angel, out of nowhere, usually appears and leads us by the hand to our destination. We continue to meet the nicest people here in Japan! I don’t remember her name but she has a link to this blog. Thank you! 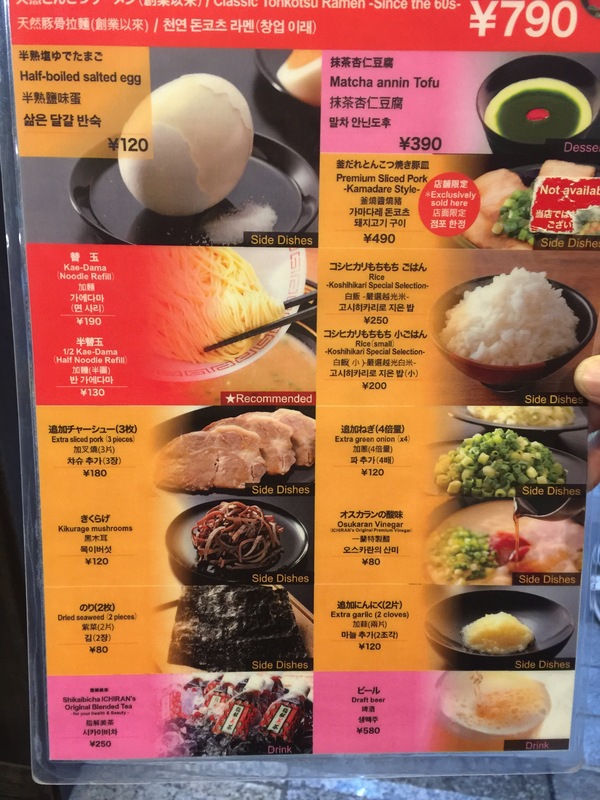 Our ramen at Ichiran was delicious. Laurie is hooked! The way that they seat you and serve you is rather novel. The following video by another blogger explains rather well. Here are some pictures from our meal. I ordered the extra pork slices and extra onions. The menu says do not finish your broth so you can add more noodles. I ordered a full order of noodles midway through for only Y190 and it was so good! Laurie’s ramen delivered by a mysterious food server! The next day we decided to take it easy and walk through the local area to find a grocery to buy the ground beef and other fresh ingredients for the tacos. Along the way we stopped into a drugstore in our continuous search for Aloe Vera capsules (Diet here has been too much starch and not enough fresh vegetables). 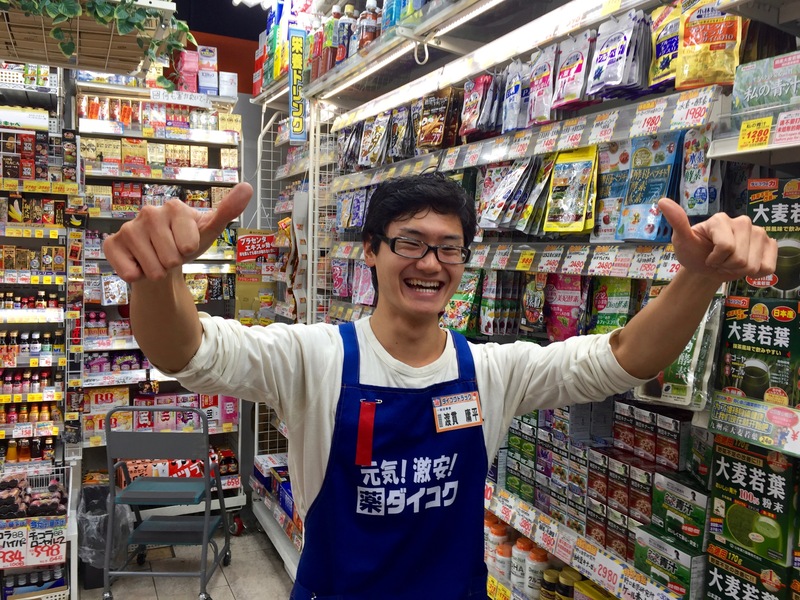 Met a real nice clerk in the store so I simply am giving a shout out to Youhei! I like this poster of the Nissan Foods Cup of Noodles Samurai. We walked pretty far only to find that the stores I had found on Yelp were in fact Korean grocery stores. Nothing against Korean groceries but they tend to not carry ground beef! Second market had a mixed ground pork/beef, cheddar cheese, and all the produce we needed. They even had Mexican refried beans! We walked out the door carrying three heavy bags of groceries with a long walk ahead. Turned out we were able to cut through a train station and made it back in half the time! Tacos were delicious. It was so worth the time and effort to see such happy faces digging in to taco deliciousness!!! While eating dinner two guests from Norway, Malin and Sindre, arrived just in time to join us. They are finishing their honeymoon in Japan. They are true travelers and it was so much fun sharing stories. This brought to a close our time at Local Life. We had a great time with new friends. As I write this we are in our next airbnb in Kawasaki. I’m so enjoying this . ← Emperor for a Day!